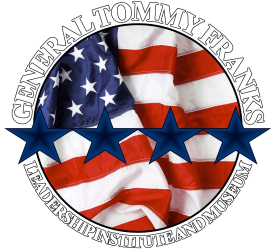 The Commander in Chief of the United States Central Command from July 2000 through July 2003, General Tommy Franks made history by leading American and Coalition forces to victory in Afghanistan and Iraq—the decisive battles that launched the war on terrorism. In this riveting memoir, General Franks retraces his journey from a small-town boyhood in Oklahoma and Midland, Texas, through a lifetime of military service—including his heroic tour as an Artillery officer in Vietnam, where he was wounded three times. A reform-minded Cold War commander and a shrewd tactician during Operation Desert Storm, Franks took command of CENTCOM at the dawn of what he calls a “crease in history”—becoming the senior American military officer in the most dangerous region on earth. Now, drawing on his own recollections and military records declassified for this book, Franks offers the first true insider’s account of the war on terrorism that has changed the world since September 11,2001. He puts you in the Operations Center for the launch of Operation Enduring Freedom just weeks after 9/11, capturing its uncertain early days and the historic victory that followed. He traces his relationship with the demanding Donald Rumsfeld, whose impatience drove Franks to offer his resignation—but whose endorsement soon evolved into a strong collaboration. When President Bush focused world attention on the threat of Iraq, Franks seized the moment to implement a bold new vision of joint warfare in planning Operation Iraqi Freedom. Rejecting Desert Storm-style massive troop deployment in favor of flexibility and speed, Franks was met with skepticism by the defense establishment—including Secretary of State Colin Powell. Yet his vision was proven on the ground: Within three weeks, Baghdad had fallen. American Soldier is filled with revelation. Franks describes the covert diplomacy that helped him secure international cooperation for the war, and reveals the role of foreign leaders—and a critical double agent code-named “April Fool”—in the most successful military deception since D-Day in 1944. He speaks frankly of intelligence failures that endangered our troops, and of the credible WMD threats—including eleventh-hour warnings from Arab leaders—that influenced every planning decision. He offers an unvarnished portrait of the “disruptive and divisive” defense bureaucracy, and a candid assessment of the war’s aftermath. Yet in the end, as American Soldier demonstrates, the battles in Afghanistan and Iraq remain heroic victories—wars of liberation won by troops whose valor was “unequaled,” Franks writes, “by anything in the annals of war.” Few individuals have the chance to contribute so much of themselves to the American story as General Tommy Franks. In American Soldier, he captures it all.